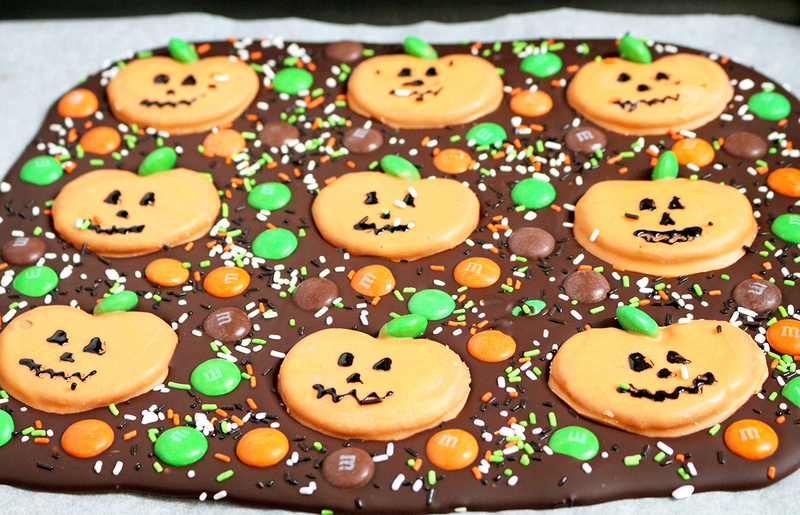 Here is a great recipe for Halloween – M&M’s Pumpkin Pretzel Bark – just perfect for this holiday. OMG Halloween… the party can start real soon. 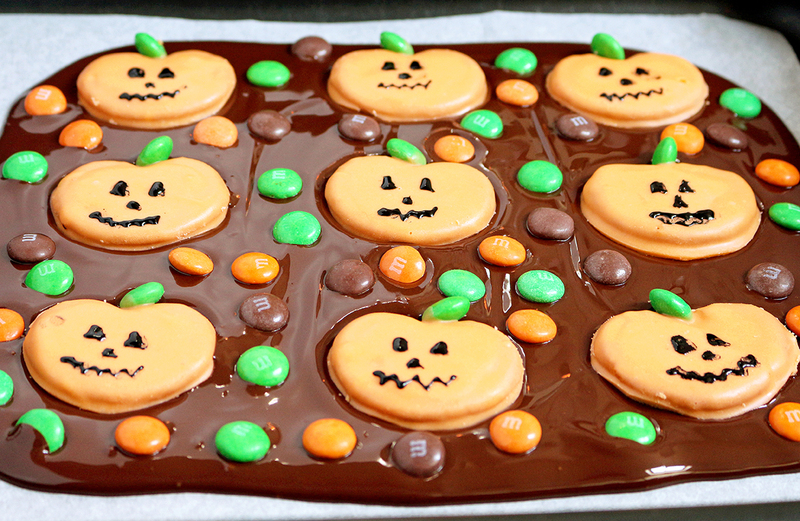 It is so much fun to make M&M’s Pumpkin Pretzel Bark. I‘ve enjoyed making them with my son. 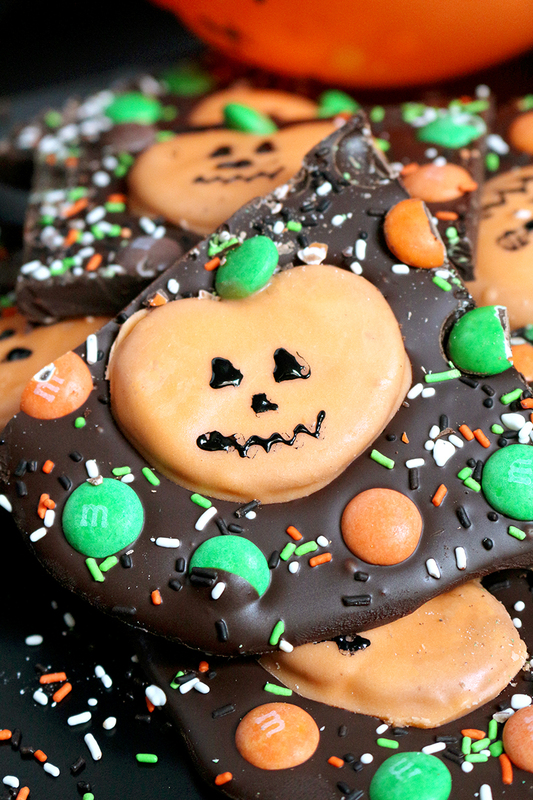 First, we made Pumpkin Pretzel, then melted chocolate, we put Pumpkin Pretzels over the melted chocolate, finished with M&M’s candies and sprinkles and waited for them to cool in the freezer. It`s a great fun for kids, but I have to say that I‘ve enjoyed spending time with my son, while we were preparing them. 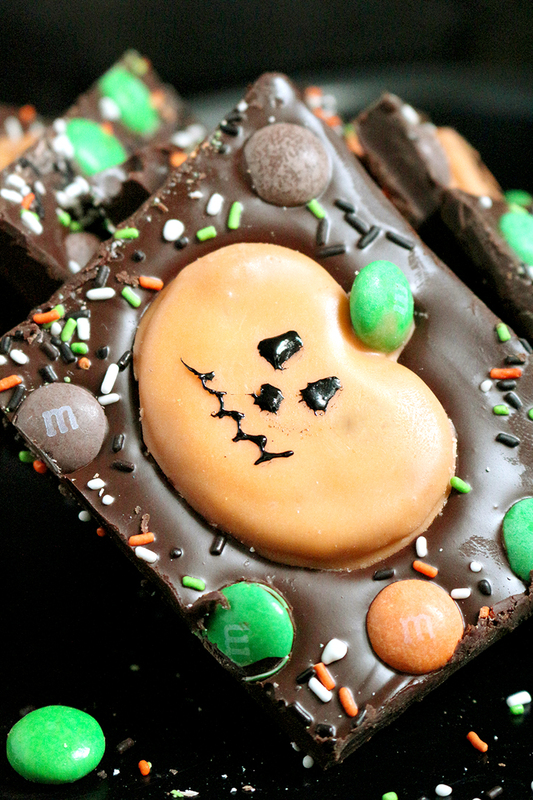 His smile is what I like the most and M&M’s Pumpkin Pretzel Bark made him do that. They are very easy to prepare and they are no bake. 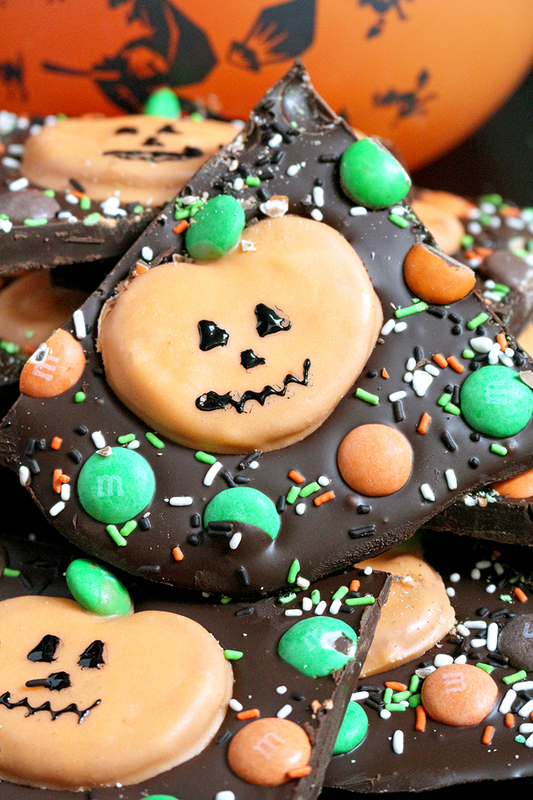 6 ingredients + 25 minutes of your time = M&M’s Pumpkin Pretzel Bark. This is my suggestion for Halloween and kids will love it. 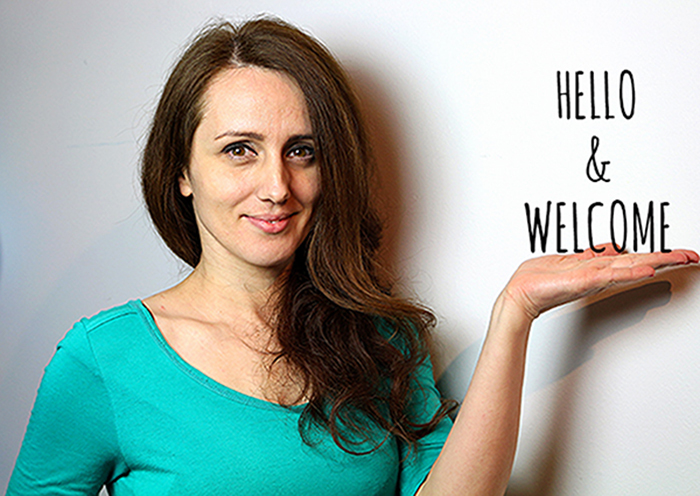 I used dark chocolate and you can choose white, milk or any other kind that you like. 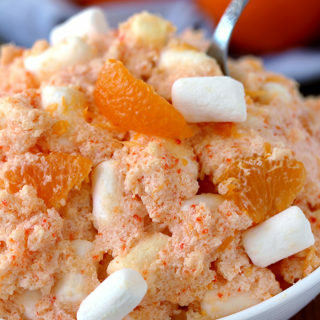 You can also add ingredients of your own and make your perfect combination. If you like pumpkin you can also look our most popular fall recipes Pumpkin Ice Cream in Chocolate Covered Cones, No Bake Pumpkin Oreo Cheesecake and Pumpkin Walnut Bars with Cream Cheese Frosting. 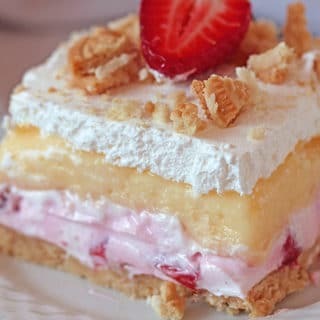 They are very easy to prepare and they are no bake. 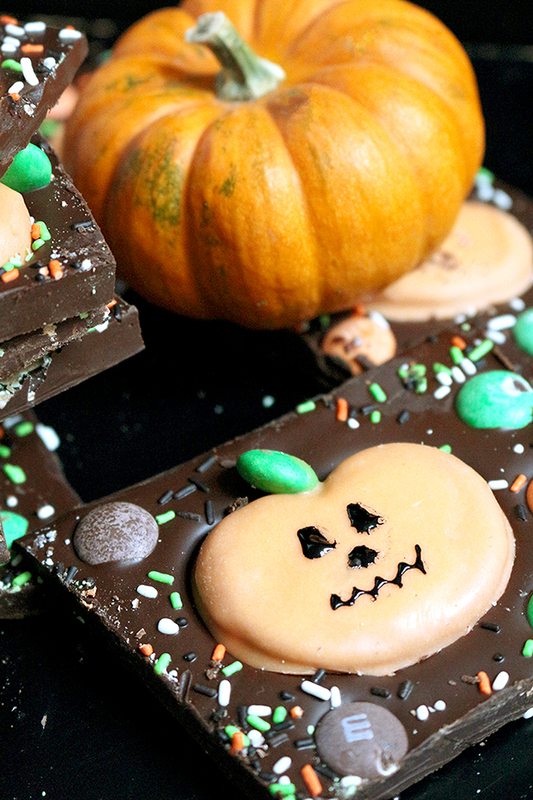 6 ingredients + 25 minutes of your time = M&M's Pumpkin Pretzel Bark. This is my suggestion for Halloween and kids will love it. Line baking sheet with wax paper and set aside. Melt candy melts following the instructions on the package. Dip each pretzel into the melted candy melts and turn around using a fork, so that every pretzel is covered with it. Take them out with a fork and place them on the wax paper. 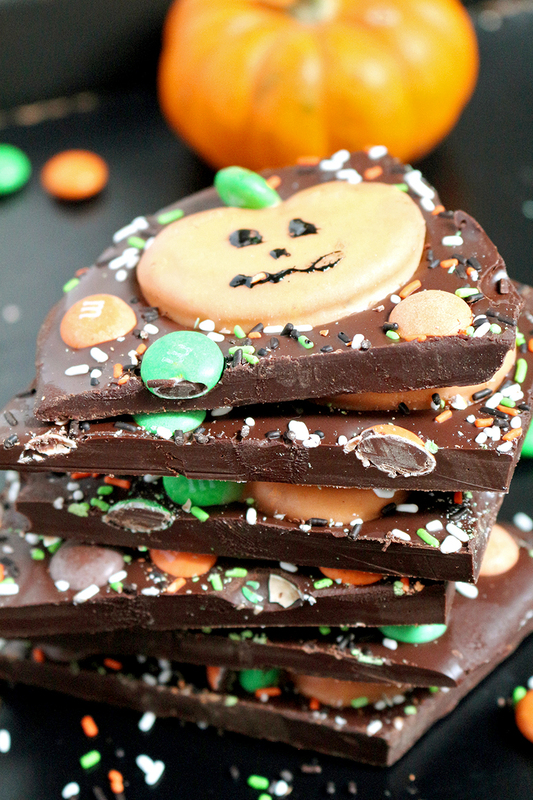 Put a green M&M's candy on the top of the pumpkin. If there is a hole in the pretzel, add some more chocolate to fill it. Do the same with the rest of the pretzels. Put in the freezer for 5-10 minutes to become solid. Take them out and draw eyes, nose and mouth on the pumpkin, using black gel icing. 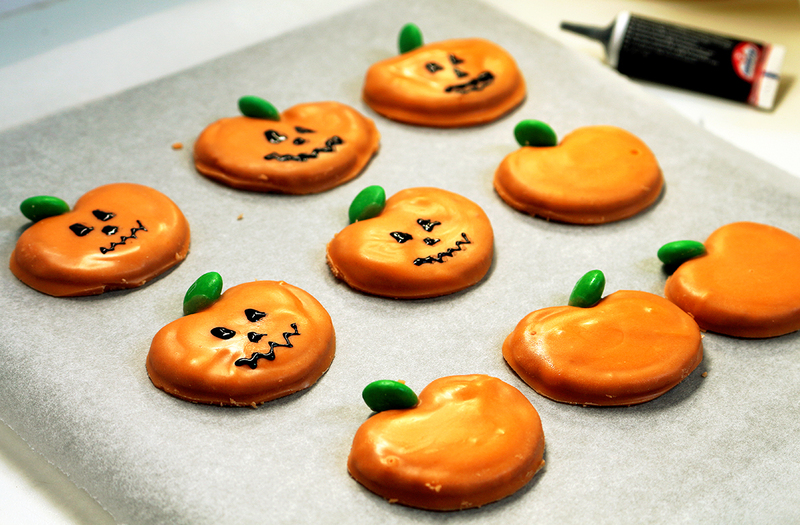 Line a baking sheet with wax paper and set aside. Melt dark chocolate chips following the instructions on the package. 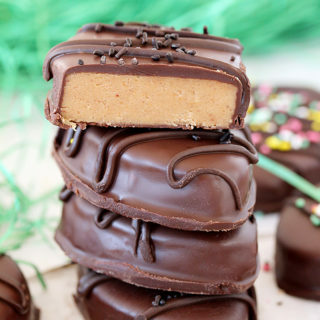 Pour melted chocolate on the baking sheet and spread it with spatula until it is a ¼ inch thick. 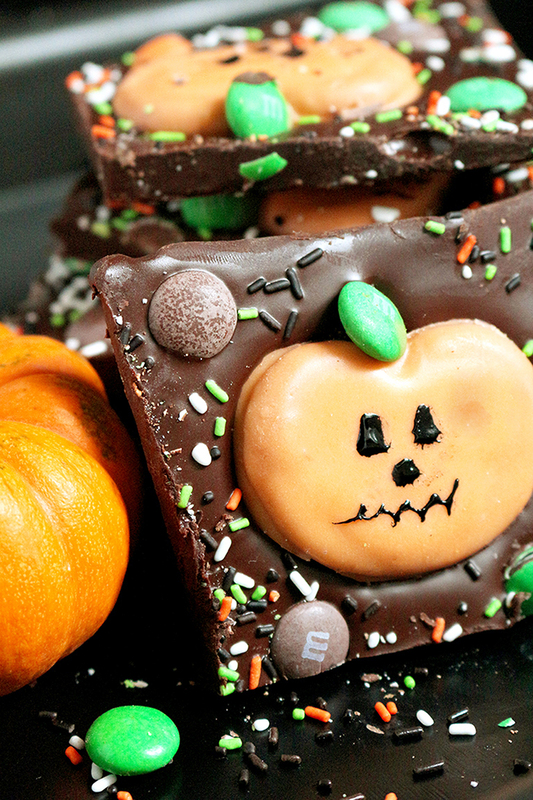 Put Pumpkin Pretzels over the melted chocolate and then finish with M&M's candies and sprinkles. Leave in the freezer for 15 minutes or in the fridge for 45 minutes until the chocolate becomes solid. Place the bark on the flat surface and cut it in pieces. Store in a well sealed container up to 7 days.